Law enforcement agencies around the country are developing more sophisticated tactics that are dedicated to arresting people with outstanding warrants. There are a variety of agencies and police units that are dedicated to apprehending fugitives. The federal government’s specialized agency is the U.S. Marshal’s Service, which has jurisdiction to serve arrest warrants throughout the country. The U.S. Marshals do not only arrest fugitives charged with federal crimes. In fact out of the 115,000 felony warrants served by the U.S. Marshals in 2012, only 40,000 were for federal offenses. In addition to the Marshals, there are also numerous state and local agencies dedicated to catching fugitives. Perhaps the largest is the Maryland State Apprehension Team or MSAT, which is a division of the state police. MSAT has offices around the state, and works alongside federal and local law enforcement in a variety of different capacities. The Baltimore division is primarily responsible for assisting the Baltimore City Sheriff and the Howard County Police with finding and arresting defendants with failures to appear or violations of probation. The state police often help city law enforcement to apprehend violent offenders that are part of the VPI or violence prevention initiative. MSAT also has a Greenbelt division, which primarily covers the D.C. area and Montgomery Count, a Salisbury division, and a northern division. The state police are not involved in every fugitive apprehension operation, and many misdemeanor warrants are handled by the county sheriff or even local police. But chances are that some law enforcement agency will eventually come knocking and it is better to avoid this experience. If you or a loved one has an outstanding probation warrant contact the criminal lawyers at The Herbst Firm immediately for a free consultation about the best way to handle this situation. The last thing anyone wants to have happen is for some state or federal agency to kick down a door in the middle of the night to serve a warrant. This experience can be extremely dangerous, not to mention embarrassing and terrifying for children and family members. Fugitive apprehension cops are often hot headed and enjoy showing off their guns and tactical training. It’s the nature of this specific area of law enforcement. But do not let it come to this! 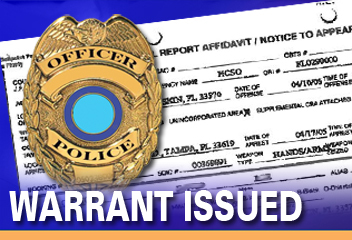 There are a variety of things we can do to try to vacate your warrant including writing a letter to the judge and requesting a hearing, or organizing a safe and secure surrender time where police will be prohibited from interrogation. There is no need to wait and live in fear for the day that a fugitive squad will come and find you. We have successfully requested judges to withdraw no bail warrants for failures to appear and for a probation violations. And if we are unable to convince the judge to vacate the warrant, we will appear at your first appearance and argue for the commissioner to reduce or order no bail. Call to speak with one of our criminal lawyers today. Benjamin Herbst handles both new criminal and traffic charges and violations of probation in all jurisdictions in Maryland.